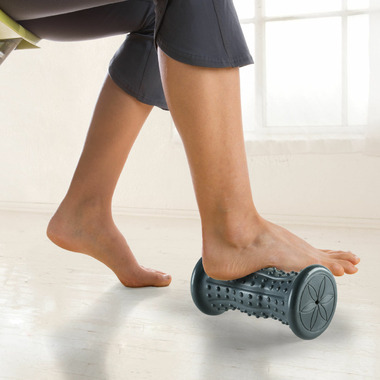 The Restore Hot & Cold Foot Roller is ideal for relieving plantar fasciitis, pain from heel spurs or just tired, achy feet by helping boost circulation. Works great. 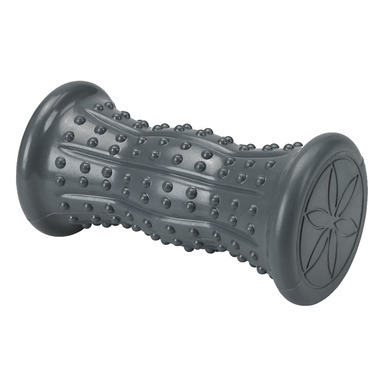 I bought this for my boyfriend as he spends hours a day on his feet in dress shoes and always has sore, swollen feet. Definitely need to use it on a rug or carpet. Ridging can be a bit painful in sensitive spots. The curve on the ends is great for getting right into the sides of the feet. We have not tried the hot or cold with it.